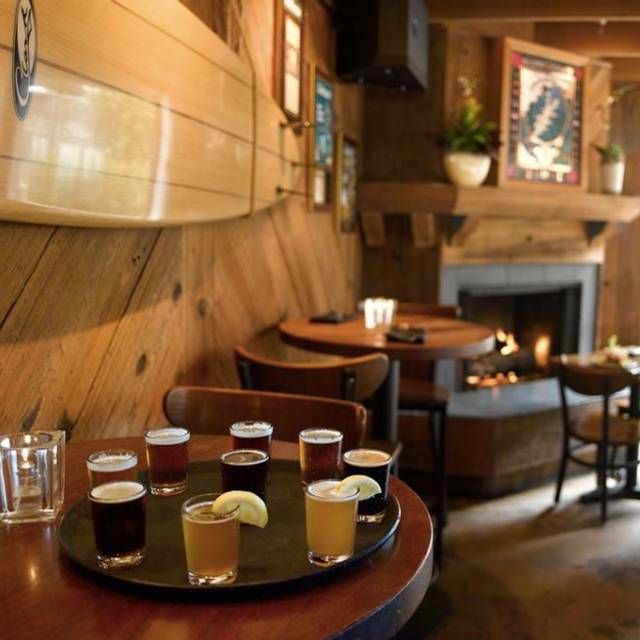 You must make reservations at least 5 minutes in advance of the time at Half Moon Bay Brewing Company. Whether you are planning an intimate night for 20 people or a reception for 300 guests, we can create a memorable event for all. 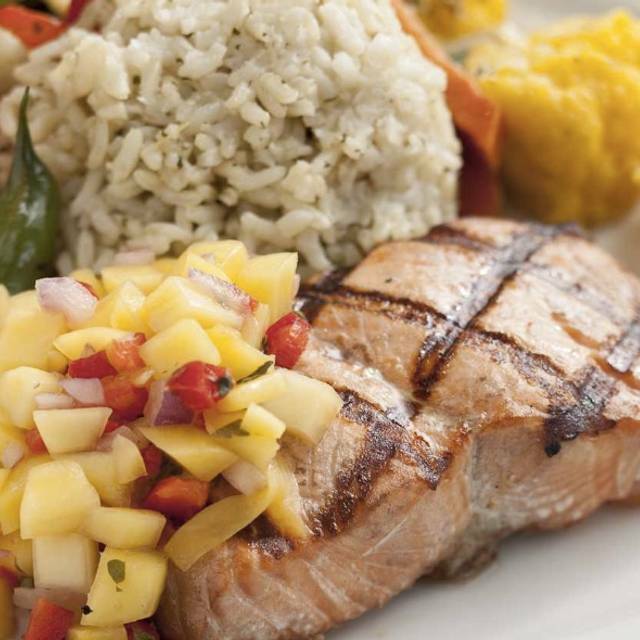 Both our indoor and outdoor dining options offer stunning harbor views. 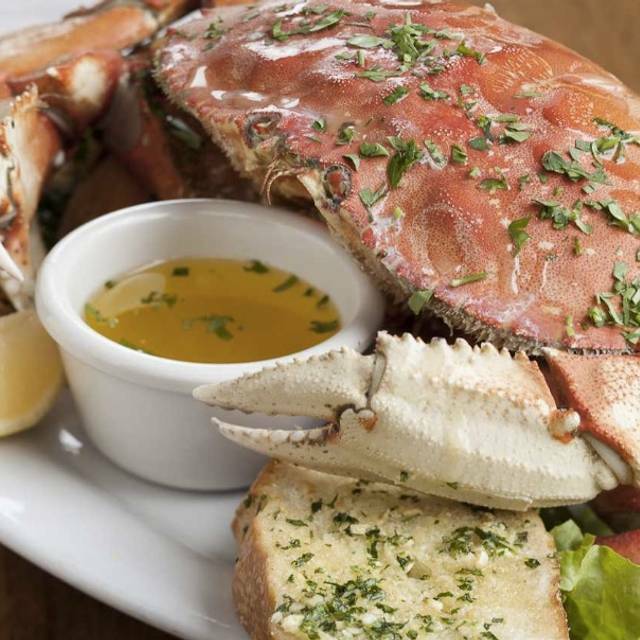 We specialize in fresh California coastal cuisine with an international flair. Our private stand-alone venue Mavericks Event Center is adjacent to Pillar Point Harbor and features 180-degree ocean views, a large harbor view deck, and a private seaside garden. Lastly, bring our mobile taproom The Hoptrotter to your next event, complete with up to 10 of our award-winning craft brews and bartender. 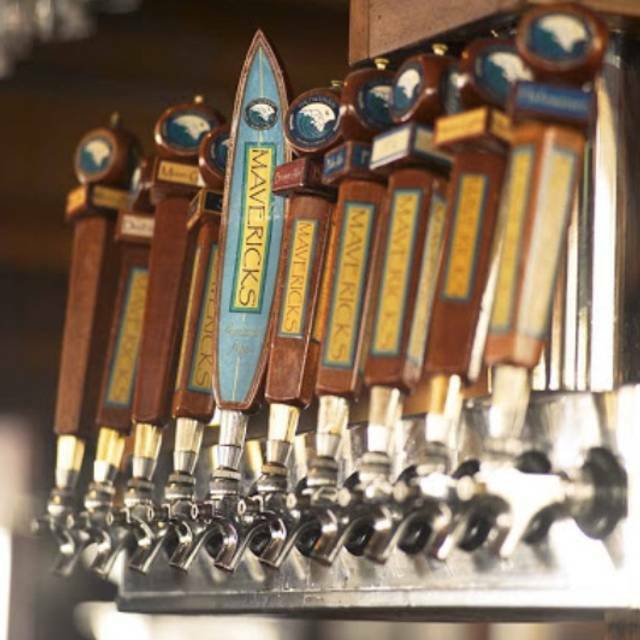 Selected as one of America's Best Coastal Breweries by Coastal Living magazine, one of America’s Best Beach Bars by Travel + Leisure magazine, and as having one of the best clam chowders outside of New England by Food Network, the Half Moon Bay Brewing Company is situated on picturesque Pillar Point Harbor overlooking the Marina in Half Moon Bay . Since opening in 2000, HMBBC has become a favorite for locals and a destination for world travelers to come together to celebrate beer, friends, and fun. 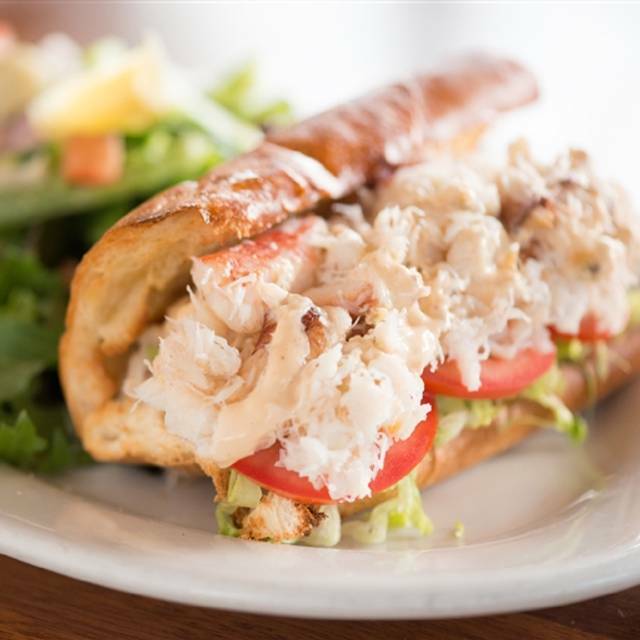 Half Moon Bay Brewing Company offers a family-friendly, come-as-you-are atmosphere with a winning combination of fresh and sustainable seafood, fresh, seasonal and local products, and craft beer. HMBBC is known locally for live weekend music and an expansive, dog-friendly patio area with blazing fire pits to keep patrons warm on the waterfront. Come and enjoy fresh seafood, delicious burgers, weekend brunch, and award-winning beers brewed on-site. The outside hostess was very rude. We enjoyed our meal and time at the Brewing Co! Would definitely return when we are in the Half Moon Bay area again! 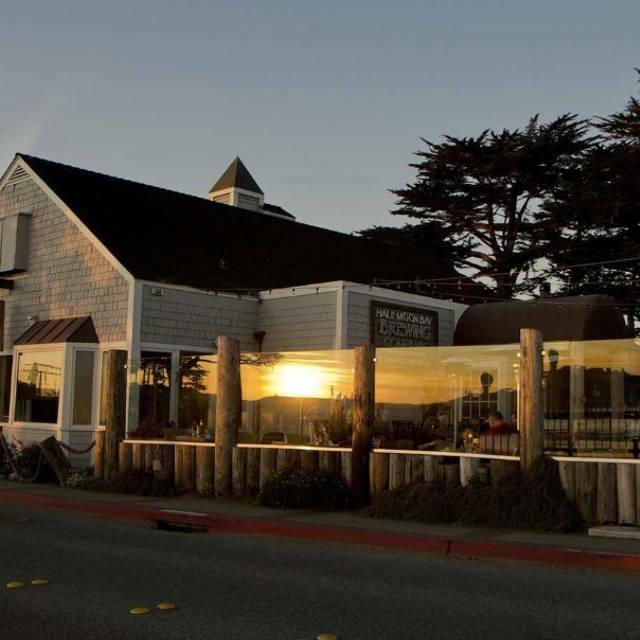 This is a great place for a burger or sandwich while you watch the water in Half Moon Bay. 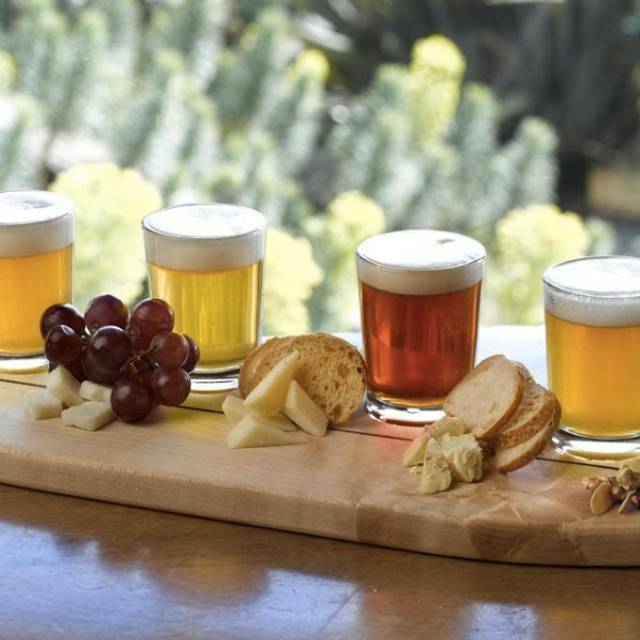 Booked reservations twice now for the brewery, food, service, experience is great. However both reservations were for special occasions and notated in the reservation but the restaurant didn’t acknowledge the special occasion. Only suggestion to make the experience completely unforgettable would be for the restaurant to acknowledge any special remarks or requests on reservations. Thank you. Great brunch sitting outside! Weather was beautiful, food was great (after correcting steak temperature), good spot for families. Delicious fried artichoke hearts and burgers! Great waitstaff too! Exactly what you would expect in a small coastal town. The food and service both were great. Had the steak and it was cooked perfectly. Menu has lots to choose from. Will go back! Awesome views, awesome service and awesome laid back restaurant! Loved eating here! Always love the food and beer here. Great reason to come visit HMB! Enjoyed the beer and dinner on a busy winter night (my guess is every night is busy here). Had reservations through Open Table - arrived a bit early but waiting until our set time to be seated which was fine. All of our meals were good, kinda high priced for what it is but we were excited to try this brewery on our first trip to HMB. The condition of the restaurant has deteriorated over the past few years. It restaurant felt unclean. The carpets were not vacuumed, the furniture is worn and the windows were dirty. Our server was new but she did not make an effort to answer our questions. She knew nothing about the beer of any other menu item. The food was adequate but underspiced. Delicious and fresh food. The waitress was very attentive. Also enjoyed their brewed beer! Nice and friendly place, with outdoor eating option (including dog friendly), great service, and nice ocean views. We had Thanksgiving dinner. The food was great. You could tell that they were running out of turkey as our reservation was towards the end of the day, but the mashed potatoes were delicious. We always have Thanksgiving dinner here and it has been good in previous years. This year the service was non existent, we ended up waiting nearly an hour for our main courses. When the food finally arrived, one order was completely wrong and the turkey in the turkey dinner was inedible. Two small dry slices that have seen better days. We had it taken off the bill. Disappointing overall. Made reservations over 1 month ago for Thanksgiving at 2 pm. All 4 of us ordered the Turkey dinner special due to being Thanksgiving. After 30 minutes, server came and said they were out of turkey! After spending 20 minutes looking for another place, the server said they would have more turkey in 30 minutes so we said we would wait. They offered 1 comp appetizer and 1 comp drink for each of us due to the wait. After waiting another hour, they finally brought the turkey, but then apologized they were out of stuffing, LOL. Then at 4:30, 2 1/2 hrs there, they brought the check with stuffing in a to go box. They had charged us for the 3 drinks and appetizer that were supposed to be comped due to all of the problems! Felt so bad for the server due to really bad management. Have been there many times over the last 8 years, no more after ruining a holiday. We go here often and enjoy it. The Thanksgiving entree was too soft and predictable however. Different textures would improve the food. Fun place, live music on weekends. The food is fit for foodies! Service is great! Outdoor dining, a plus. Heaters available for the outdoor section of the restaurant. Free parking. Will be back! We went to celebrate my birthday. Made reservations just in case & they took us right away. We got a table inside by the window. The Fried Artichoke hearts are sooo good. Fish & chips were delicious and crunchy on the outside. 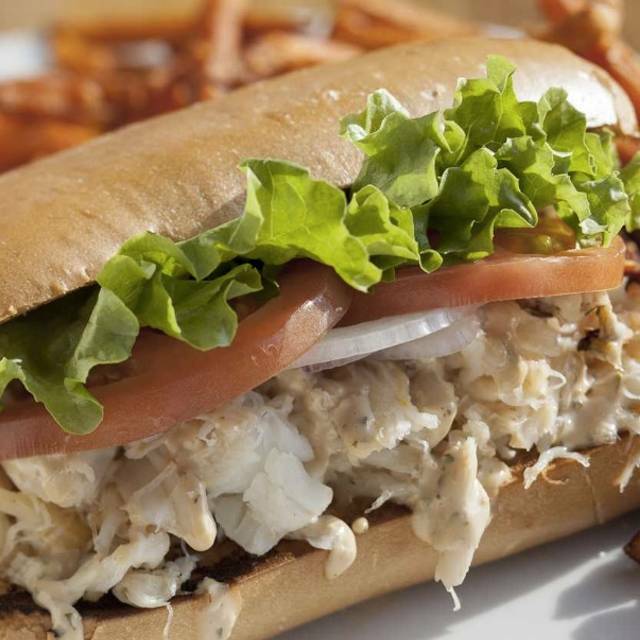 Crab sandwich was perfect. We had an awesome waitress. She comped my dessert because it was my birthday. Molten Lava chocolate cake was on point. Four of us were there for dinner and sat inside. It's a good sized place and we were in a front room area where there was a bit more quiet. It's a fun drinking beer spot near the water so people are there to have a fun time and you can expect some noise. We ordered a big fisherman's plate of fish, calamari and fries, two orders of shrimp and chips and an order of fish tacos. Our food came in less than five minutes so we suspected that it was already cooked and then thrown into the fryer to heat up....it was overdone and the shrimp were pretty tasteless and almost burned. The person who had the fish tacos, and usually loves fish tacos, only ate half of her order because she said it was not particularly tasty. She had to ask for hot sauce because it had no spiciness at all. We recommend it for drinking fun beers and people watching while you are in Half Moon Bay, but I'm not sure what we would order to eat if we were there again. Maybe it's a once-in-a-vacation place! I had the crab sandwich and my husband had the tuna melt. Both were yummy but the service was not so great. The server dropped off our food and that was that. I had to ask another server for ketchup and didn't get a refill on my ice tea until I was almost done with my meal. Food was good; wait staff very good but the hostess was far from pleasant. Good food, but service was spotty and slow. Considering we had a reservation and they knew we were coming, I would have expected better. Food was good and delivered quickly to the table. Great family atmosphere. Sitting on the patio was really nice. The reservation was only good for indoor seating so we had a little wait. 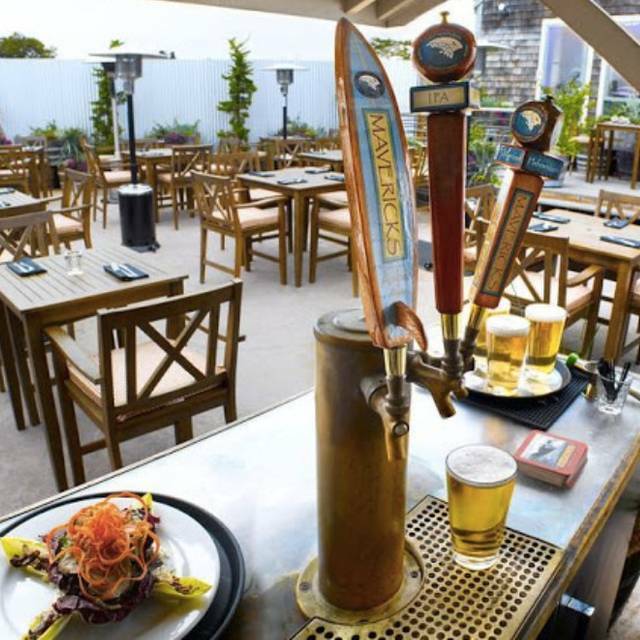 Good beer, good seafood, nice atmosphere on the patio with the fire pits. I ordered the seafood combo and it was over cooked and cold when it arrived at my table. I thought how could the kitchen mess up this dish. It’s pretty straight forward. Our server was the best we ever had. Kept our glasses full and food delivered fast. We used to LOVE the shrimp louie salads and were sad to see it off the menu recently. This is an old time favorite of fish food lovers and restaurants and hope it returns soon! Didn’t live up to expectations. Windows dirty so view looked a bit ugly. Paella special was weird and more of a risotto cake with seafood on the side. We were expecting more of a brewery theme. A great brunch experience with friends - good food, good drink, good times. Always great food and people at HMB Brewery! We had a reservation but a table was not ready. When we got to our table, it was dirty and set for the wrong amount of people. After 10 minutes, we were asked what we would like, without asking if we wanted drinks or appetizers or simply water. Upon return, he mixed our drinks up with another table, then took our orders. He asked if we’d like to hear the specials after we were finished ordering. Food was not at all what I expected; pub food at best. The waiter sat with another family while our table and others in the area all needed service. When I ordered a second glass of wine, the surrounding tables called out their orders as well. Tables were never bused and plates were stacked at all empty tables. For a 4th of July holiday, I expected it to be packed. I can clearly see now why it wasn’t. Such a disappointment. It took over 30 minutes for our food to come. We saw other tables get their food before we did even though they sat down after us. I will not return here again for mediocre food and high prices. This is the go-to spot for my kids when they want to celebrate anything. We went here recently for Father's Day. Even though the staff said they had been busy all day long and it didn't look like it was going to slow down, the staff was super-cheerful and attentive. The view of the water is relaxing, especially at sunset. Will come back here again and again.